Chassis parts for Team 830 (The Rat Pack) being cut on the waterjet. The waterjet time is donated to us by the FABLab (The Digital Fabrication Lab at Taubman College). One of the Resources we are available to provide to teams is waterjet time. We are provided with about 5 hours of Waterjet Time each year. 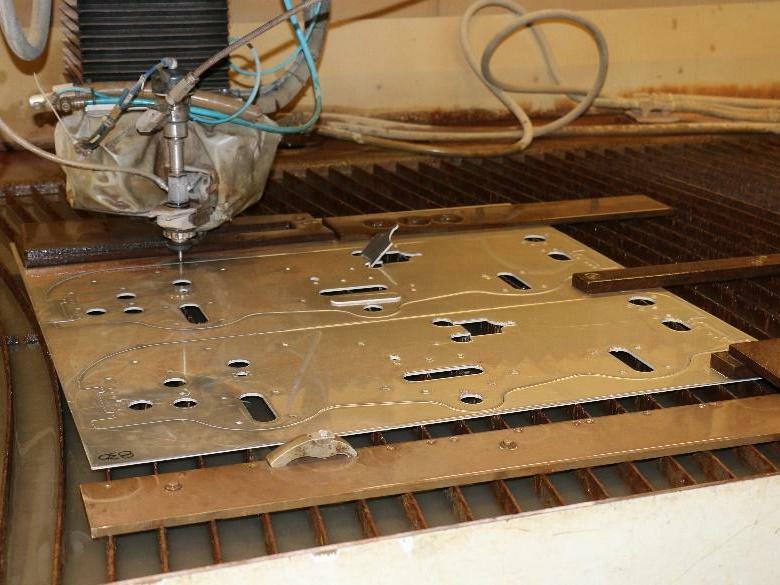 For cutting parts out of aluminum or steel sheets, the waterjet can create parts to very tight tolerances. 3D printers at the Duderstadt Center. The University of Michigan gives students free 3D printing. If you’re needing something 3D printed we can try to assist. Free printing is reserved to items smaller than 6”x6”x4”, although if there are larger parts we can try to accommodate.